Attention mobile graphics fiends: AMD says its claiming the crown for the “world’s fastest notebook graphics card” with its newly unveiled Radeon HD 8970M. The new GPU is targeted at desktop replacement gaming laptops, and it will be first found in the MSI GX70 gaming laptop, which starts at $1,100. 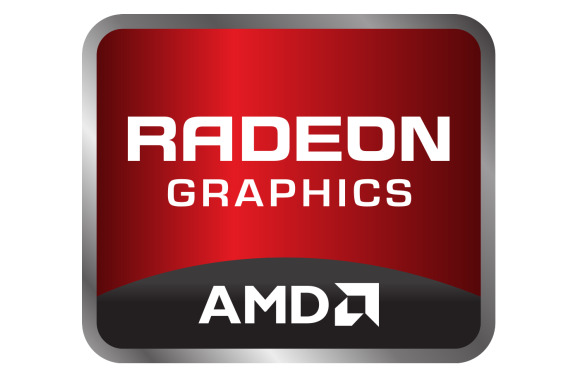 The Radeon HD 8970M GPU is powered by AMD’s Graphics Core Next (GCN) architecture, built on a 28nm processor, and sports AMD's Enduro optimized power consumption technology for enhanced battery life. The GPU can power a 4K (four times the full HD resolution) display, or—if you have the ports—up to six traditional displays. The 8970M GPU combines 1280 stream processors with a clock speed of 850 MHz (or 900 MHz with boost), which gives it a precision computer power of 2.3 TFLOPS. The GPU's memory speed is clocked at 1.2GHz. Basically, the new chip sports the same specs as its 7970M predecessor, but tosses in a new 900MHz clock boost. 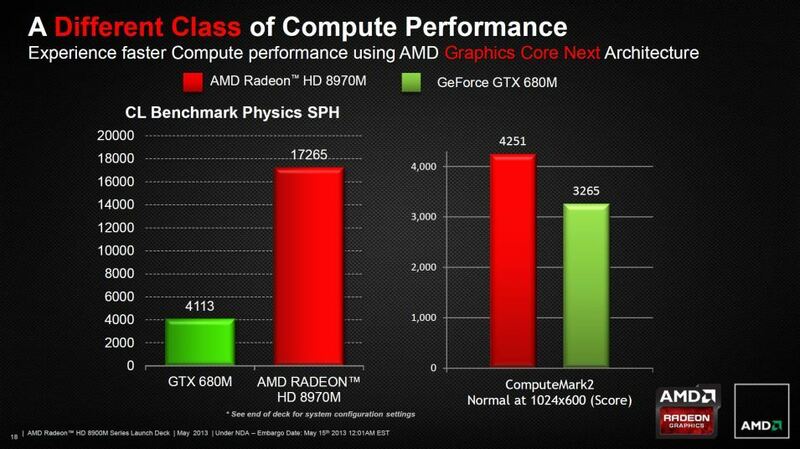 While the Radeon 8970M is a beast, it's a beast we largely already know. That said, AMD claims the 8970M offers up to 50 percent faster game performance than Nvidia's beefiest mobile GPU—at least in games optimized for Radeon GPUs. If AMD can continue to convince triple-A game makers to ride the Radeon bandwagon, as it's trying to hard to do, this could be the start of something beautiful for the company's GPUs. AMD is backing up its mildly stacked gaming results third-party benchmark results, however. The chipmaker says its new flagship showed higher average performance than Nvidia's GeForce GTX 680M in the 3DMark Fire Strike test, and AMD also claims the Radeon 8970M's computing performance chops blow away its competition. The 17.3-inch MSI GX70 Windows 8 laptop will be the first notebook to feature AMD’s latest flagship, pairing it with 2GB of graphics VRAM and an AMD Quad-Core A10 series APU. It'll also pack a 1TB 7200rpm hard drive, a Blu-ray and DVD combo drive, an SD card reader, Bluetooth 4.0, five USB ports (two USB 2.0 and three USB 3.0), one VGA port, and one HDMI port.